Problems managing up, down or laterally, delivering feedback or dealing with interpersonal conflicts may have you recognizing your need to develop better leadership skills. And when you are underperforming or unhappy in your career, you need solutions that are fast, as well as effective. Are you seeking professional advice or guidance, but aren’t sure what you want or where to start? You may be familiar with career and leadership assessment, but haven’t had an experience using it. Or, maybe you tried leadership or career testing but felt unsatisfied with or confused by the results. Most individuals are not aware of how to fully utilize career and leadership assessment tools appropriately, and many career professionals take a “test ‘em and tell ‘em” approach, delivering the results without understanding the client’s unique circumstances and career goals. There isn’t a one-fit career choice or leadership style for most people, and career assessment results should be carefully interpreted. Although we use the terms “test” and “assessment” interchangeably, it is important to state that our assessment tools are not measuring intelligence or evaluating right or wrong answers, as a typical test may do. Rather we are exploring your preferred interests, values, skills, work-environment preference and leadership style to develop a better understanding of your best-fit career options and areas of strengths and further development. At Dynamic Transitions in NYC, we work to understand your situation, goals and needs in order to determine if you would benefit from career and leadership testing. If you have a clear idea of what you want to do next, for example, it may not be necessary to complete the assessment process. But, if you are unsure about how to find a job in which you feel satisfied or if you are struggling to develop effective leadership skills, career or leadership testing is an efficient and proven way for us to get to know you and quickly start working toward your desired results. Dynamic Transitions offers a comprehensive battery of assessment tools along two pathways: Career Exploration and Leadership. We may suggest a career exploration assessment battery when there is uncertainty or a lack of clarity in your professional identity and career goals. You may feel like you have no clue what you want to or should do next. Or, perhaps you were always told to choose a “safe” path, not one in which you were interested, causing you to never learn how to develop your own career identity or choose a profession in an informed way. 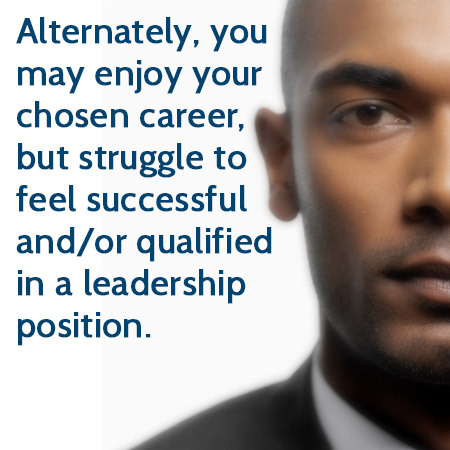 You may feel stuck in your current position, unsure if you’re on the right career path. 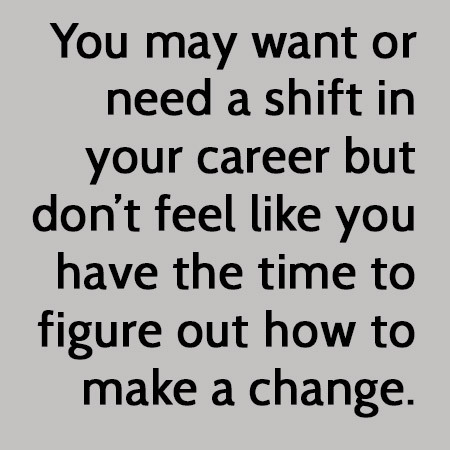 You may feel a career change is necessary, but have no clear plan about how to make a transition. Career exploration testing can help you understand your career goals, identify opportunities and take thoughtful, strategic action. As a new or seasoned manager, you may be struggling with how to give and/or receive effective feedback, manage direct reports deal with conflict or manage up effectively. You may want to reflect upon your leadership style, cope with stress in the workplace or strategically consider how to positively affect change in your organization. Communication gaps or challenges can make it difficult to understand what changes you can make in your leadership style to make things run more seamlessly. Our battery of leadership assessments can help you quickly identify areas that need further development, how to grow needed leadership skills and what strengths you can rely on when facing challenges in your leadership position. This information will be used to formulate a leadership action plan, designed for your specific needs and including key goals and performance indicators. Career testing isn’t the right step for everyone, and it won’t tell you exactly what steps to take in your career. But, the assessment tools we use can help you identify the core issues impacting your career exploration and leadership development. 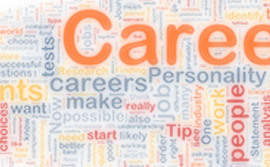 Furthermore, career assessments are tailored to your individual needs and goals. At Dynamic Transitions, we bring the information from your career tests together in a cohesive format to strategically plan and integrate changes around your goals, needs and lifestyle. Our battery of career tests touch on different domains that impact your career identity and fulfillment in the workplace. Assessment results can provide clarity on your ideal work environment, preferences and motivators as well as your personality, values, interests and skills. Each test you complete online will be followed by an in-person session. We’ll go through test results with you, personalizing the information to help you apply what you are learning to your professional experience. We will also integrate the results of each successive test with those previously reviewed. You’ll receive an increasingly detailed and expansive strategy to help you achieve your desired professional growth and development results. After completing career exploration testing, you will recognize that you have a number of professional options to consider. With results and options in hand, you’ll be equipped to make an informed decision that meets your professional needs and goals, rather than one based on circumstance or chance. Once you have identified best-fit career options, you can gain a sense of control and hope, knowing that you have a choice in your career. We will work with you to develop a career action plan and help you make the best possible career decision for yourself. Leadership testing results can help you identify core issues that are keeping you from achieving success and insights into how to solve them. You can learn how to make significant and rapid changes in your communication and leadership style and address professional challenges in a concrete way. Additionally, by understanding your work environment and how you interact within it, you can create a more positive experience for yourself and your colleagues. We take several sessions to walk through each test result and integrate new information and strategies into your professional experience. You are working toward significant changes, and the amount of information we cover can become overwhelming. You may worry you will forget pieces of what we covered after several months or years. For these reasons, we provide a comprehensive report you can take with you, detailing the findings from your career testing. 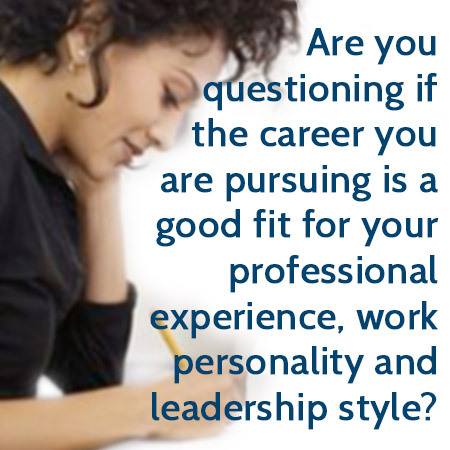 At Dynamic Transitions, we have provided professional career exploration and leadership testing for more than 15 years. As career coaches as well as counseling psychologists, we have extensive training and experience in career development and assessment. With professional career testing, you can quickly identify opportunities, address challenges and feel more satisfied and confident in your work. I don’t know anyone who’s happy with his or her job. How can career testing help? Many people haven’t had the opportunity to explore best-fit options through career testing. Others assume it isn’t possible to feel happy in their career. A primary purpose of career testing is to help you see that there are careers in which you can feel satisfied and fulfilled. And, career exploration testing can help you make an informed career choice based on your personal preferences and work style. I don’t trust a career test to tell me what I should do for a living. What if the test is wrong? You are right. There is no single test that can tell you what career you should pursue. This is why we utilize a comprehensive battery of tests that can increase insight about best-fit paths. Our goal is to uncover information based on your own feedback that can help narrow your options, not decide them for you. What if I don’t like the options the test identifies? We believe in a tailored approach to your unique needs, and we’ll develop a plan that can help you pursue your identified career goals. As we review test results, we’ll explore the options that emerge and discuss how feasible they are for you as well as any possible internal and external barriers to your career satisfaction. If you feel stuck or unsure of your career direction or leadership skills, or if you have additional questions about career testing at Dynamic Transitions, we invite you to schedule a free 15-minute phone consultation. Still not sure if career testing is right for you? Try our fun career personality test! Sign up for our newsletter on Dynamic Leadership and/or Career Transitions to access helpful articles and additional information.